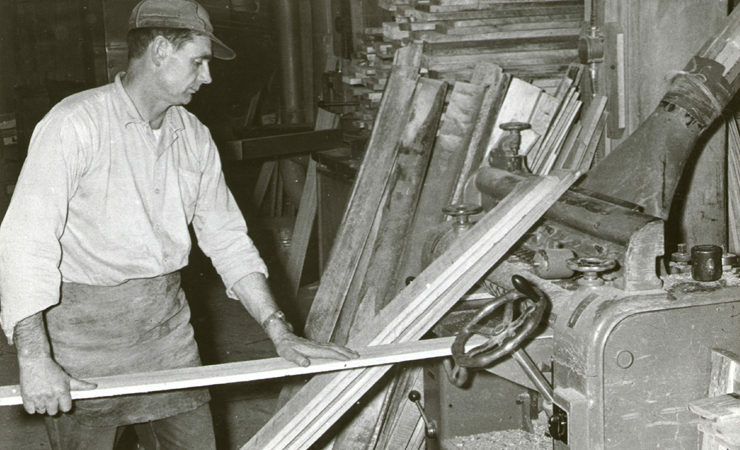 For over 95 years, Åsnes has produced rugged skis for winter hiking and mountaineering. 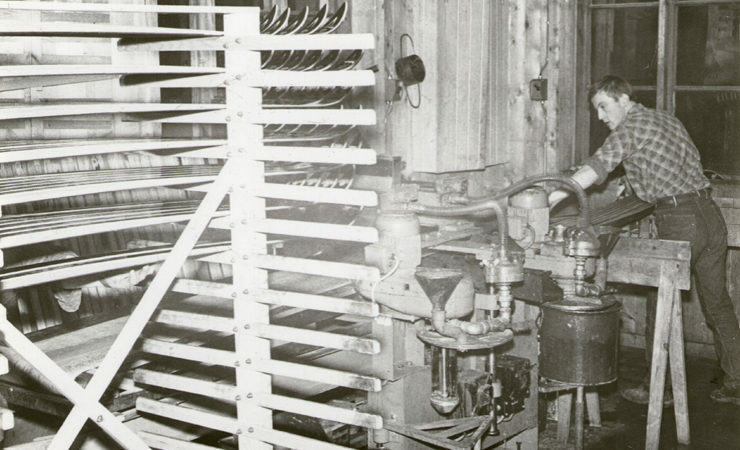 It all started in 1910 when the oldest of the Åsnes brothers went to Christiania (Oslo) to work at Hagen ski factory. There, he learned the profession of ski production, and already in 1913, four out of six Åsnes brothers worked at the Hagen ski factory. 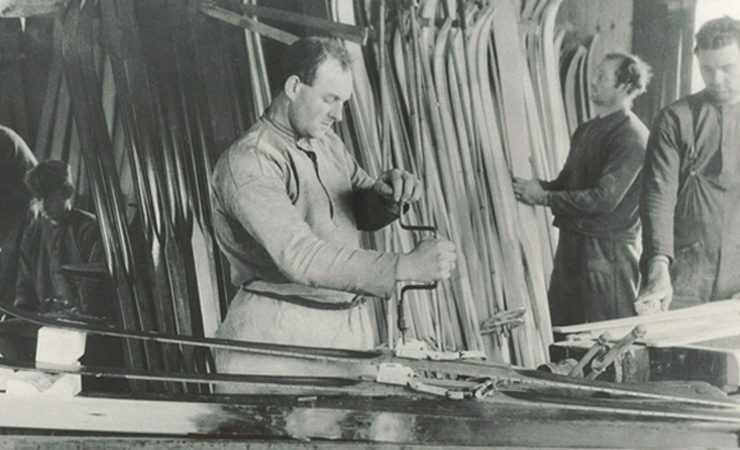 In 1922 two of the brothers started ski production at Straumsnes labeling the skis “Brødrene Åsnes skifabrikk”. Production began in the old barn that was raised in 1696, but after 11 years, it was too small, and a new factory was built on the farm. The new factory was a total of 200 square meters. The family was poor and had limited funding. They bought timber from across the fjord, and payment was done with fish caught during the crossing. The timber was then towed back to the factory using a rowboat. 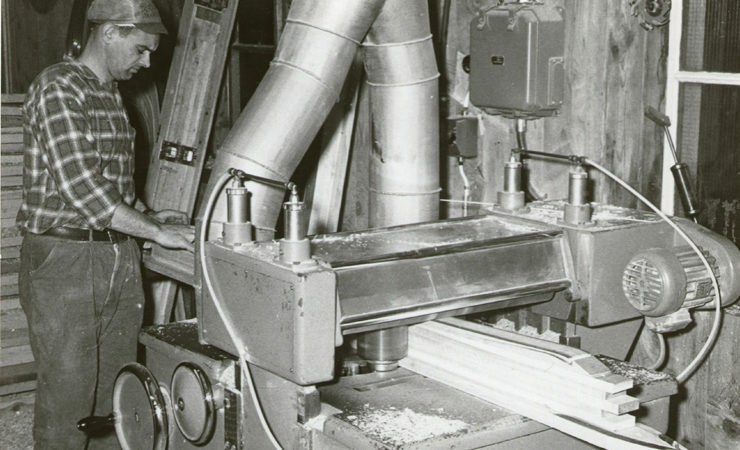 There were several reasons why they bought standing timber; it was cheaper, and they could choose the best trees for ski production. Out of the timber came the finest skis that had ever been seen in the country of Norway. 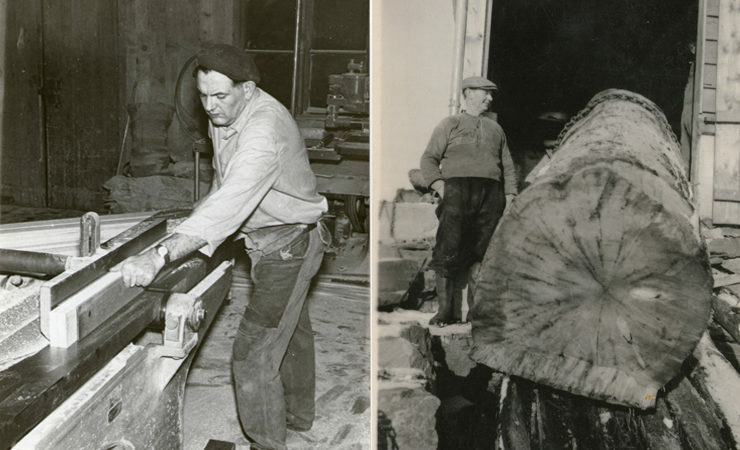 Åsnes has a long and rich history marked by hard work and iron will. 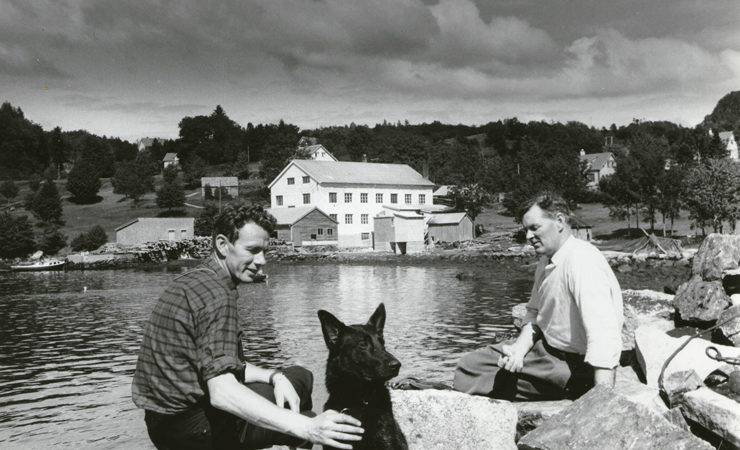 The Åsnes Family built their first factory in 1933, and in 1937 the brothers got their first order to the Royal Army. For the first time they had to hire people from outside the family. 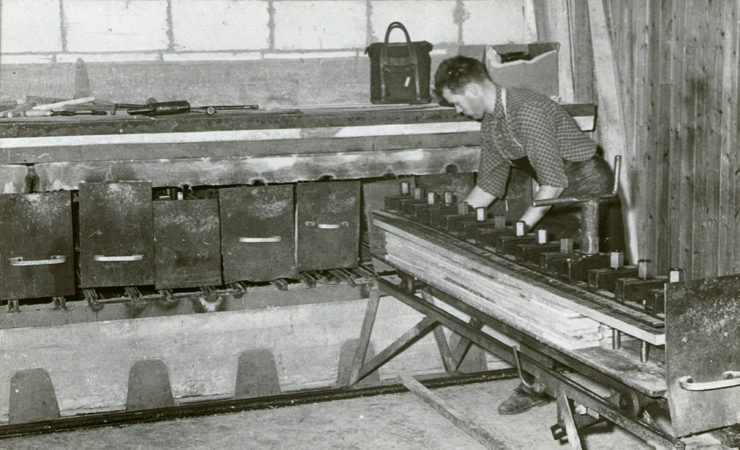 The village got electric power in 1947, and although the Åsnes brothers had gotten hold of a used power plants in 1934, it all became easier when the village and the factory got electricity. 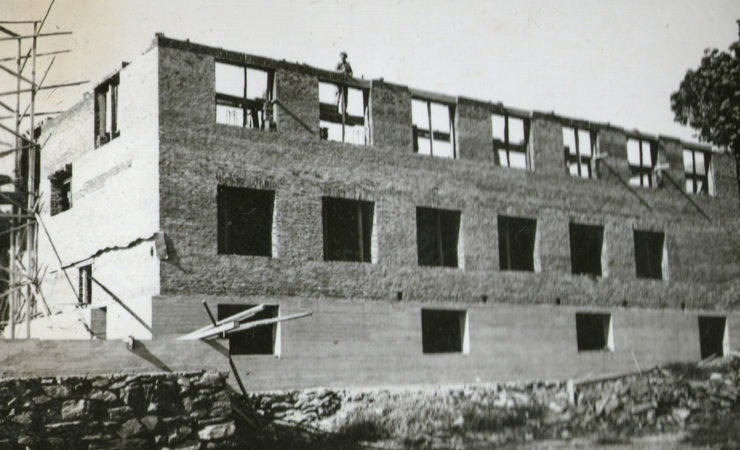 In the autumn of 1948 the factory was totally destroyed by a huge fire, but within two years the family raised a new factory by voluntary work. The new factory was a grand 250 square meters in base area and 2 1/2 floors. Later, the factory was extended several times and had in the end more than 2,600 sqm. of gross internal area. 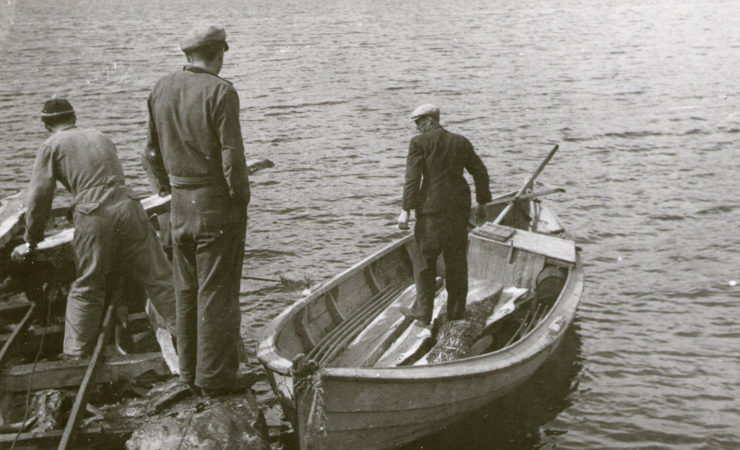 Åsnes had its absolute heyday in 1977 peaking at over 70 employees. They produced 137,000 pairs of skis in the factory, and 45% of the volume was exported to the US and Canada. The early 80s were characterized by harder competition and a tough market. 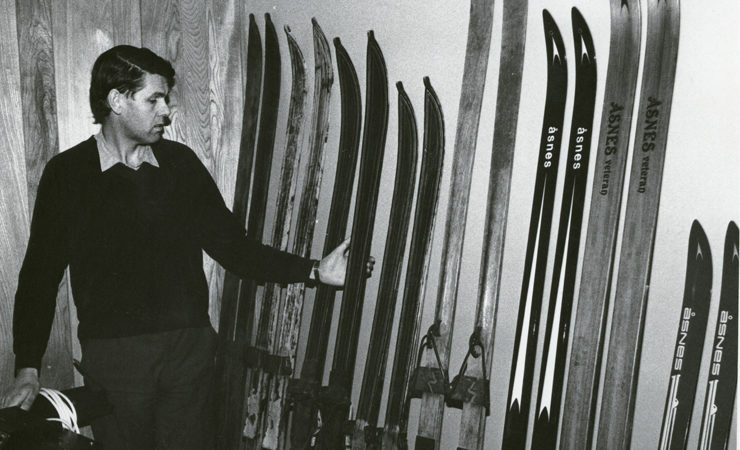 It did not help that Åsnes pioneered in steel-rimmed fiberglass skis. In 1982 the number of employees dropped to 40 FTEs ,but Åsnes regained an upsurge in 1984/85 due to the growing trend of Telemarking. Many old Telemarkers will recall both A-ski and the Comp ski. In 1998, Brødrene Åsnes Ski AS was bankrupt and a new company was established with regional investors. Åsnes was no longer a family company. The new company was named Åsnes Ski AS and was operated until 2006. Two ski enthusiastic guys from Voss had a dream of running their own ski brand. Øyvind Lauritzen and Hans Engelsen Eide bought the company, and Åsnes was integrated into Skigutane AS (Skiing Boys). Many steps were made on the design, marketing and product. Investments were made in both machinery and in development, but after two years of operation with low profitability and recruitment challenges, it was decided to close the plant in Straumsnes. 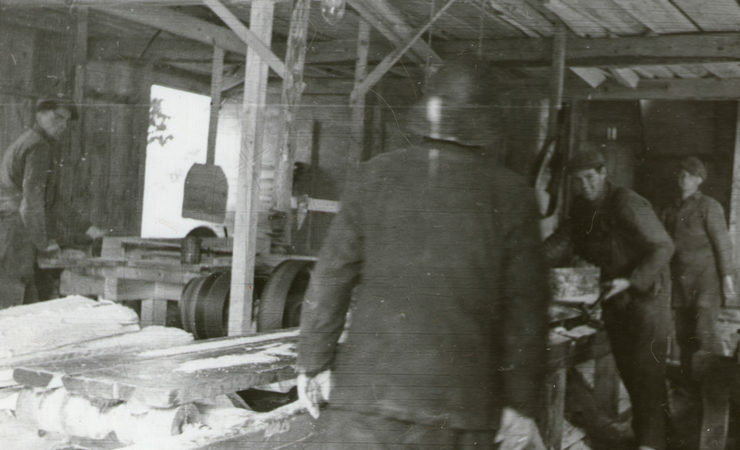 All production was moved to Åre ski factory, which at that time was also owned by Skigutane. Today, Åsnes is market leader in its segment and annually produces around 25-30,000 pairs of skis. Åsnes is known for high quality skis and the skin-insert system that was introduced in 2003. In recent years, all of the ski production takes place in the Czech Republic and Sweden in solid factories with a high knowledge of ski production. The design and development are done by 3rd generation Åsnes family – Asbjørn Åsnes and of course our ambassadors. Åsnes is today best known for mountain skis, which is also used for many extreme expeditions, but in addition focuses on more playful skis intended for Mountain Touring. Åsnes is a part of the company Active Brands AS, the owner of many different brands such as Kari Traa, Sweet Protection and Bjørn Dæhlie. We in Åsnes look forward to the future and many happy years of skiing.